Manchester United had a game to forget last weekend as they suffered a 3-1 defeat at the hands of City rivals Manchester City and once again the frailty of Jose Mourinho’s squad was brought into the limelight. A central midfield manned by Nemanja Matic shielding the back four with Victor Lindelof and Chris Smalling at the heart of defence was reactive instead of being proactive, thereby giving Man City the chance to run behind them and overrun them at times. 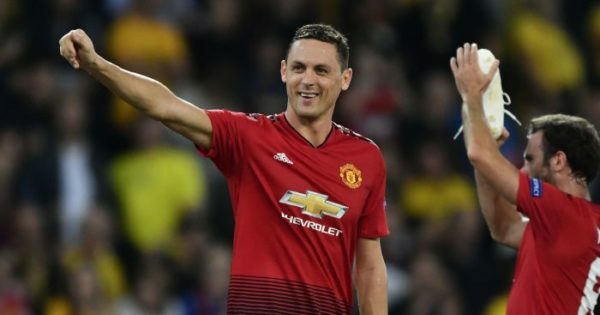 Hence, a serious overhaul may be needed at Old Trafford and one player has been identified as a weak link, Matic is experiencing a huge dip in form and he may just be one of the problems in Mourinho’s squad. The midfielder missed the first two games of the season due to injury, and was suspended for September’s draw with Wolves, but has since played every other game he has been fit for. Matic when in good form can be a formidable player capable of the short, sharp passes required to move to attack and deal with any opponent. At his worst, he is just a lifeless player roaming the pitch and holding back the performance of his teammates. As proven by the statistics, the 30-year-old has hit rock bottom. In the Premier League alone, he is making fewer tackles (1.3 to 1.9), interceptions (0.8 to 1.8), dribbles (0.6 to 1.5), blocks (0.1 to 0.4) and passes (63.5 to 72.3) per game. In fact, this season is ultimately the worst of his playing career so far in terms of tackles and interceptions: he made 3.6 and 2 per game respectively under Mourinho at Chelsea in 2014/15. Three years later, he has made fewer tackles in eight games (10) than Dele Alli has in six (11). United have the likes of Paul Pogba, Ander Herrera, Marouane Fellaini and Andreas Pereira who can hold the fort in the middle of the park instead of sitting and watch as Matic open up their defences for attack from opponent. It could even be argued that Scott McTominay at this point would even be a better option for that position. His depressing dip in form seems to have frayed the nerves of some of the other players at the club. According to the Times, a section of the squad has called for the Serbian to be dropped from the club starting XI, something which would surely erode his confidence even further. Mourinho seems reluctant to discard what he probably considers his safety net player, but without doubt, it is surely time for Matic to begin starting games watching from the sidelines.